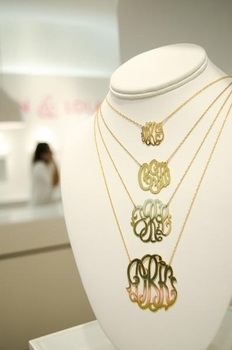 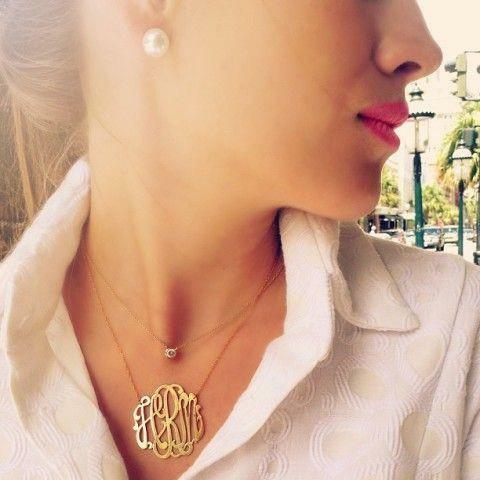 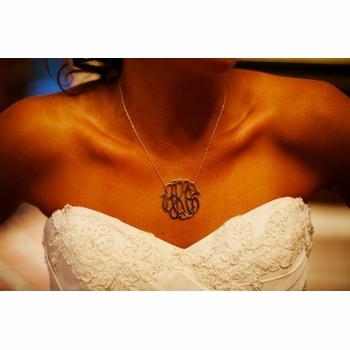 Feel proud to wear your monogram with this gorgeous cut necklace by designer Moon and Lola. 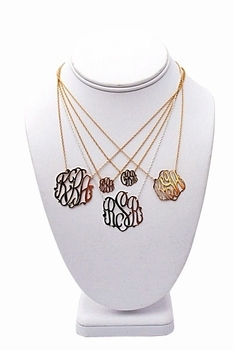 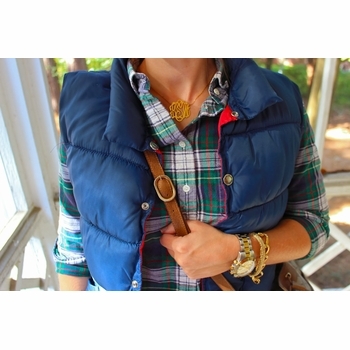 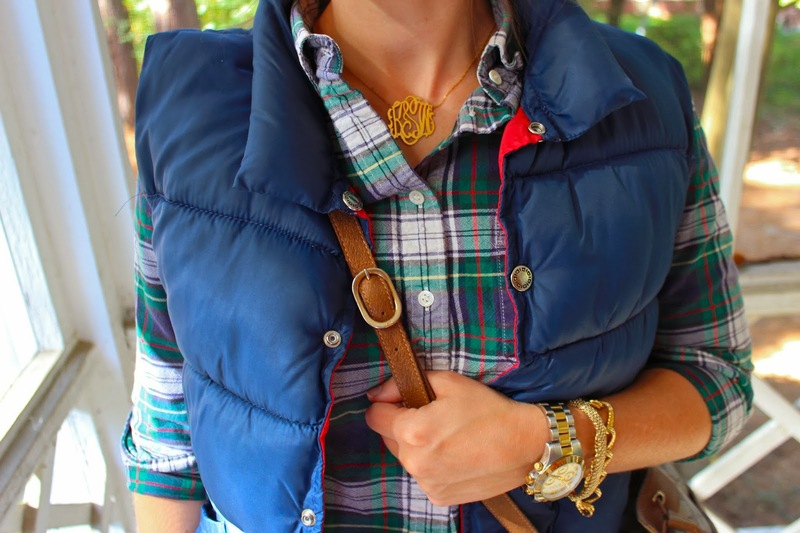 Cutout monograms are the hottest jewelry trend ~ seen around the necks of so many celebrities. 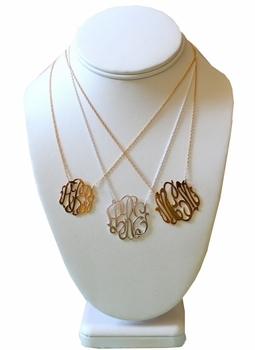 This necklace is available in 4 sizes in your choice of gold filled or sterling silver. This necklace will become a treasured keepsake that you will wear so often, it will become a jewelry staple in your closet matching everything and great for layering. 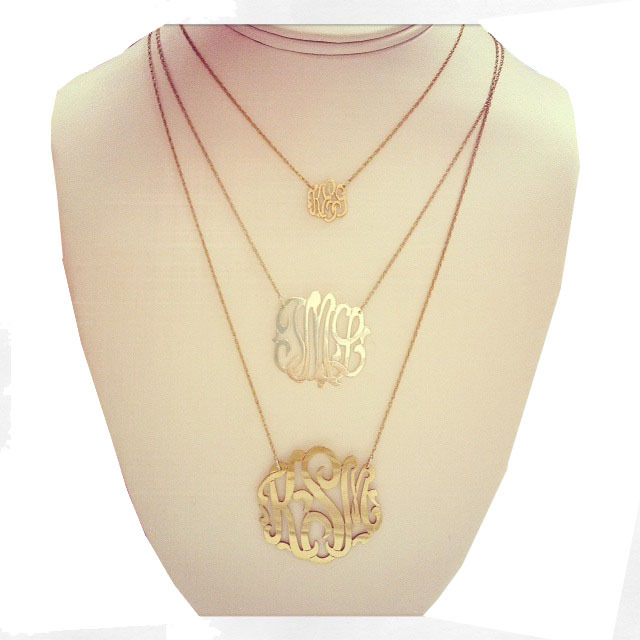 Custom ordered and designed for each order, each is as unique as you. 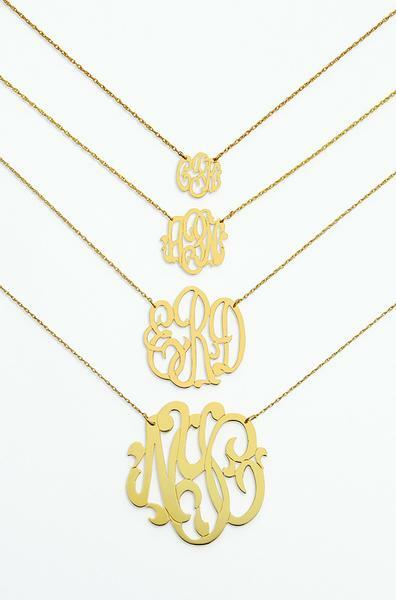 **If you do not have a middle initial, it will still look fabulous and will features your two initials and an ampersand (i.e., M&L) Available in four size options all attached on a 16" chain with a 3" extender: Large measures (1 5/8"), Medium measures (1 1/4"), Small measures (1"). 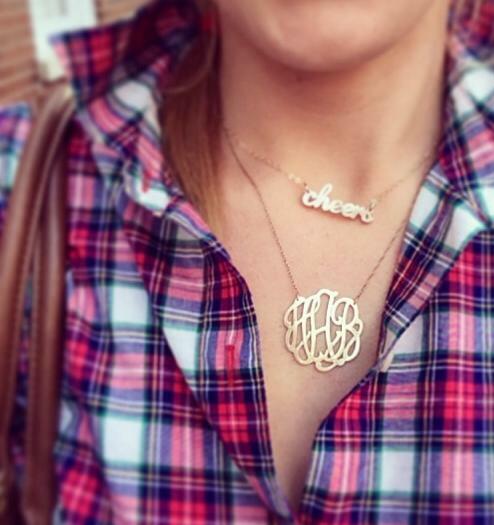 Most popular are our Medium and Large sizes due to the interlocking letters and design being viewed well. Also available in 14k gold. Please note: Maximum number of characters: 3 For the Monogram: Traditional monogrammed initials are ordered First Name initial, Last Name initial, and Middle or Maiden Name initial. However, this is a truly custom item so you may choose any three letters or order of letters that you wish. 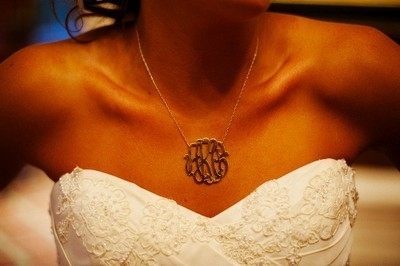 Please enter the letters as you'd like them to appear from left to right. Please note that monograms are made in the letter order in which they are submitted and will not be rearranged.